2 October 2012. BEVERLY HILLS, Calif. — Ben Affleck, when interviewing for his new movie, “Virgo,” was quoted as saying the following about President Obama and Mitt Romney. There are three salient points to this story. 1. A lot of people are uncertain about Obama, especially on foreign affairs, but are not willing to cross the line for Romney. Affleck subtly echos these disappointments in his comments still saying he will vote for Obama (and thus encouraging his followers to do the same); it is a subtle way to get-out-the-vote for Obama supporters who have “complicated feelings” about him. Affleck has a passion for getting out the vote for his candidate and there is no reason to believe he is not doing the same here. He also suggests there is no point for voting for Romney as he has already lost. So if you are a democrat vote, if you are a republican, don’t bother. 2. Ben Affleck is promoting Hilliary Clinton for 2016. 3. After his astounding display of hypocrisy in the 2000 election, one has to ask, is he even going to vote? Ben Affleck seems to be promoting Hilliary Clinton for 2016 in his comments, “That really concerns me. Beyond the Obama administration and whoever the next – the Clinton administration – whoever gets elected next.” Affleck’s support of Clinton in 2016 – and him throwing it out there now – would make sense because the two are friends, and Affleck is very vocal and active in who he supports (even though he goes a decade without voting). In what was described as a “colossal display of hypocrisy,” Ben Affleck did not vote in the 2000 Presidential election after he traveled all over the country for Al Gore and was one of the most vocal and active Hollywood supporters for the Gore campaign. After telling Rosie O’Donnell on election day itself, “Today is the get-out-the-vote day and…I think this is the time to get involved, especially the young folks who are here … I’m about to go vote.” He never showed up at the polls. (see story here). 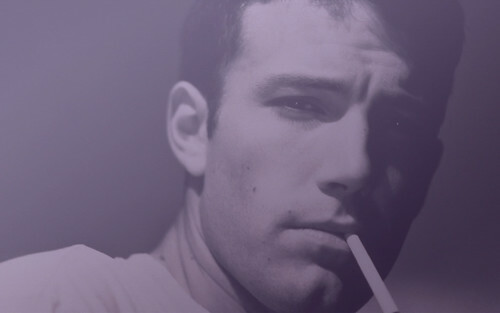 Affleck later issued a statement, “Despite Ben’s attempt to vote on election day 2000, a bureaucratic snafu at the polls prevented him from doing so. Fortunately, the candidates he supported carried New York state without this vote.” The “snafu” was never explained by Affleck. Furthermore, no New York City elections records showed that Ben Affleck was even registered to vote. Faith Madison writes about world concerns from the perspective of a mom. Her Bachelor’s is in English and she is pursuing her MBA. She has worked with entrepreneurs for almost two decades.